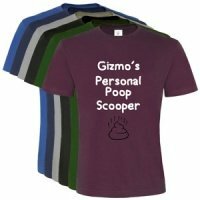 When they poop, we scoop. If that is your job title then why not let everyone know. 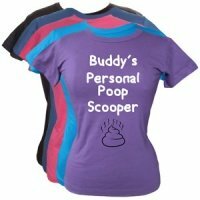 Scoop that poop with pride. 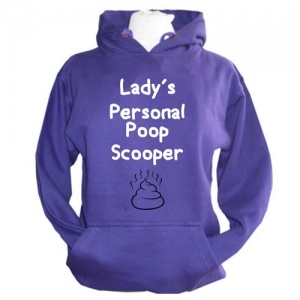 Personalised with your dog's name, in case anyone is in any doubt about whose slave you are. 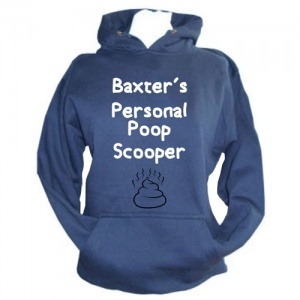 These funny slogan sweatshirts make a great gift for yourself or a dog loving friend. 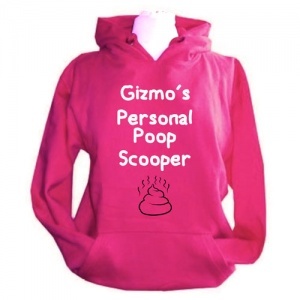 Sure to make fellow dog walkers chuckle. 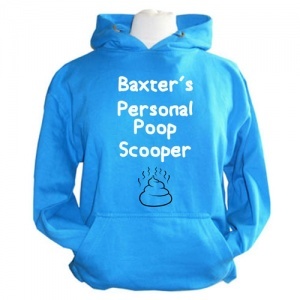 These quality hoodies are unisex, so are suitable for men or women. So warm and comfortable and great fun too. 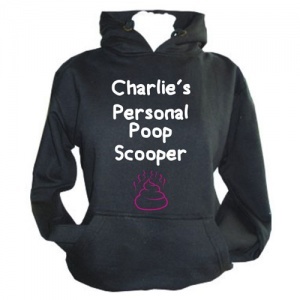 Perfect for autumn and winter dog walks, days out, events and anything you enjoy doing with your four-legged friend. One of the leading brands, these classic AWD branded hoodies are wonderfully designed and great quality. 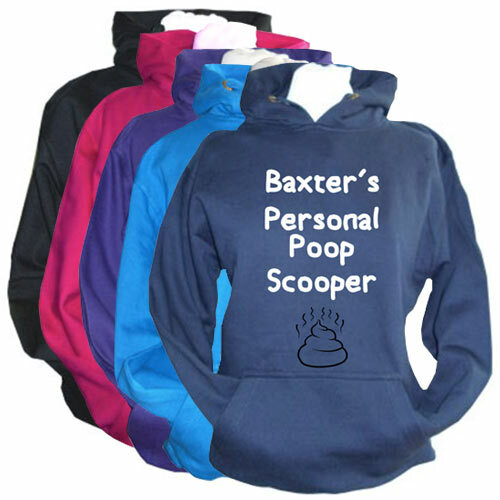 They come with self-coloured cords, ribbed cuff and hem and a double fabric hood. They are a heavyweight mix of Polyester and Cotton which makes them hard-wearing. The front kangaroo pouch pocket has a small hidden opening to feed an earphone cord through.